When you are alive and well, you are generally able to handle all of life’s critical decisions. Daily, you handle your own financial, legal, property related matters, and important medical and healthcare decisions. But what if your personal ability to handle critical decision making was lost due to disability or incapacity? Without proper planning in place, there would be no single individual vested with the power of legal authority to act on your behalf. Should this happen, your only recourse is to seek a court ordered guardianship. Invoking the court’s jurisdiction to rule on these types of matters is often costly, time consuming, unpredictable and cumbersome. 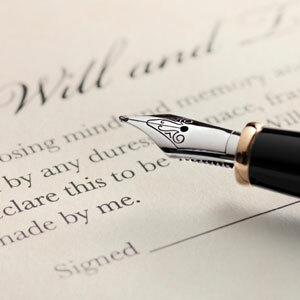 Proper estate planning operates to fill this void without court intervention. It enables you to hand-pick trusted individuals, and empower them to act on your behalf. Moreover, it binds these appointed individuals to follow a specific set of instructions designed to meet your stated goals and objectives. Dying can be costly and time consuming, particularly if there is no plan in place. Creditors, financial institutions, and other interested parties must be notified, funeral and burial arrangements must be carried out; debts must be addressed, taxes must be paid; tangible and intangible assets must be protected and eventually transferred to beneficiaries; and the decedent’s overall wishes must be carried out. There is quite a lot to do. Proper estate planning identifies all of the hurdles that may arise post death, and minimizes their effects. In addition, the estate planning attorney may devise plans empowering the your trusted family members to seamlessly retain control of and continue the operation of unique client assets – like businesses, farming operations, or the family beach house/cottage. Understanding just what needs to be done for a particular client requires experience and knowledge of the various tools and techniques available. Equally important is a complete understanding of the particular client; each client is different and no one technique works for all clients. Routinely, attorneys develop a myopic view of estate planning. They are guided by the principal goal of passing as much wealth to the next generation as tax-free as possible. While wealth transfer can, and should, be one of the goals – it should not be the primary goal. Rather, the primary goal should be the preservation of the client’s values and the corresponding protection of the client’s intended beneficiaries. What if the intended beneficiaries have (or may develop) special needs or disabilities/dependencies?